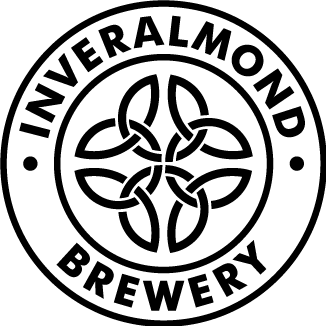 We operate the websites www.innisandgunn.com and www.inveralmond-brewery.co.uk (our “Websites”). We are The Innis & Gunn Brewing Company Limited, a company registered in Scotland under company number SC237510, with our registered office at 6 Randolph Crescent, Edinburgh, EH3 7TH. (“Company”). Our VAT number is 921 9851 08. The following Terms and Conditions are issued by the Company and apply to users, viewers and all people who access our Websites. Please read these Terms and Conditions carefully before using the Websites. By using and accessing any part of the Websites you are indicating that you accept these Terms and Conditions. If you do not accept these Terms and Conditions, do not use the Websites. TO ACCESS THE WEBSITES YOU MUST BE OF LEGAL DRINKING AGE IN THE COUNTRY WHERE YOU ARE VIEWING THE WEBSITES. IF YOU ARE NOT, DO NOT ENTER THE WEBSITES. You may access most areas of the Websites without registering your details with us. Certain services provided under the Websites are only open to you if you register. Unless otherwise stated, the copyright and other intellectual property rights in all material on the Websites are owned or licensed by the Company. Without limitation, the trade marks and all related logos, labels and bottle designs associated with the brand Innis & Gunn are owned by the Company. Material from the Websites may not be copied, reproduced, republished, uploaded, posted, transmitted, distributed, commercially exploited or adapted in any way without the prior written consent of the Company. The Company shall not be liable if for any reason the Websites are unavailable at any time or for any period. Access to the Websites may be suspended temporarily or permanently without notice. The Company reserves the right to suspend, terminate or restrict access to the Websites if these Terms and Conditions are breached. (e). to undertake any other activity that would contravene the Computer Misuse Act 1990 (UK). You may not misuse the Websites (including, without limitation, by hacking). The Company shall fully co-operate with any law enforcement authorities or court order requesting or directing the Company to disclose the identity or locate anyone posting any material or acting in any way in breach of these Terms and Conditions. Links to third party websites on the Websites are provided solely for your convenience. If you use these links, you leave the Websites and you will be subject to the terms of those third party websites, including any privacy policies. The Company has not reviewed all of these third party websites and does not control and is not responsible for these websites or their content or availability. The Company therefore does not endorse or make any representations about them, or any material found there, or any results that may be obtained from using them. If you decide to access any of the third party websites linked to the Websites, you do so entirely at your own risk. The Company expressly reserves the right to revoke the right to link to the Websites for breach of these Terms and Conditions and to take any action it deems appropriate. While the Company endeavours to ensure that the information on the Websites or elsewhere is correct, the Company does not warrant the accuracy and completeness of the material on the Websites or elsewhere. The Company may make changes to the products, services or information on the Websites or elsewhere, at any time without notice. The information on the Website may be out of date, and the Company makes no commitment to update it. To the maximum extent permitted by law, the Company provides you with the Websites on the basis that the Company excludes all representations, warranties, conditions and other terms (including, without limitation, the conditions implied by law). Unless otherwise stated in these Terms, the Company, any other party (whether or not involved in creating, producing, maintaining or delivering the Websites), and any of the Company’s group companies and the officers, directors, employees, shareholders or agents of any of them, exclude all liability and responsibility for any amount or kind of loss or damage that may result to you or a third party (including without limitation, any direct, indirect, punitive or consequential loss or damages, or any loss of income, profits, goodwill, data, contracts, use of money, or loss or damages arising from or connected in any way to business interruption, and whether in delict, tort , contract, negligence or otherwise) in connection with the Websites in any way or in connection with the use, inability to use or the results of use of the Websites, any websites linked to the Websites or the material on such websites, including but not limited to loss or damage due to viruses that may infect your computer equipment, software, data or other property on account of your access to, use of, or browsing the Websites or your downloading of any material from the Website or any websites linked to the Websites. (c). any other liability which cannot be excluded or limited by law. These Terms and Conditions shall be governed by and construed in accordance with the laws of Scotland. Disputes arising in connection with these Terms and Conditions shall be subject to the non-exclusive jurisdiction of the Scottish courts. If you are a consumer in the UK, your statutory rights may apply. You must be of legal drinking age to make purchases from our online shop. Our terms and conditions for Delivery and for Refunds and Returns apply to online purchases. Your card details for payments will be collected by the secure payment platform we use (Sage Pay). All AdventureCapital™ Investor Rewards cards shall remain the property of Innis & Gunn. Innis & Gunn may, at any time without notice, change, alter, suspend or terminate the Benefits or these terms and conditions. Cardholders must notify Innis & Gunn of any changes to their contact details. Innis & Gunn shall not be responsible for Cardholders’ inability to exercise the Benefits or any other losses whatsoever. The AdventureCapital™ card, in whatever form, is not transferable, must not be copied and can only be used by the Cardholder who is named on the card and on Innis & Gunn’s registered details. It is an essential condition that, in the event that Cardholders sell, gift or otherwise transfer their shares in Innis & Gunn Holdings Limited, their Benefits shall not pass to the recipient or other nominee(s). Cardholders are responsible for the safekeeping of their AdventureCapital™ cards and any security details (including voucher codes) relating to their account. AdventureCapital™ Reward cards must not be transferred, bought, sold or in any way traded. – any behaviour that involves the breach of any local laws, including theft, misconduct, abusive or offensive behaviour, or supplying false or misleading information; or breach by a member of the articles of association (i.e. constitution) of their AdventureCapital™ shares. Benefits may not be used in conjunction with any other offers, discounts or promotions of The Beer Kitchen by Innis & Gunn and may only be used subject to availability for qualifying purchases from participating outlets of The Beer Kitchen by Innis & Gunn. Benefits are strictly only for personal and consumer use or consumption. The AdventureCapital™ Reward card must be exhibited to Beer Kitchen staff prior to placing an order to be eligible to redeem any discount. Innis & Gunn may, at any time without notice, change, alter, suspend, withdraw or terminate the Special Offers and the Conditions. Special Offers are always subject to availability. Innis & Gunn shall not be responsible for Code Holders’ inability to take advantage of the Special Offers or for any other losses by Code Holders, including where such losses arise due to technical delays, omissions or failures. Only Code Holders registered in advance with Innis & Gunn may qualify for Special Offers. Each Code Holder is responsible for the safekeeping of their personal online discount code. Online discounts must not be transferred, bought, sold or in any way traded. Special Offers are strictly only for personal non-commercial use. – behaviour that involves the breach of any local laws, including theft, misconduct, abusive or offensive behaviour, or supplying false or misleading information.